2013 was an exciting year for us. We launched our new site and rebrand, conducted workshops around the country and continued to create great work with our partners—great work we’re proud to share. 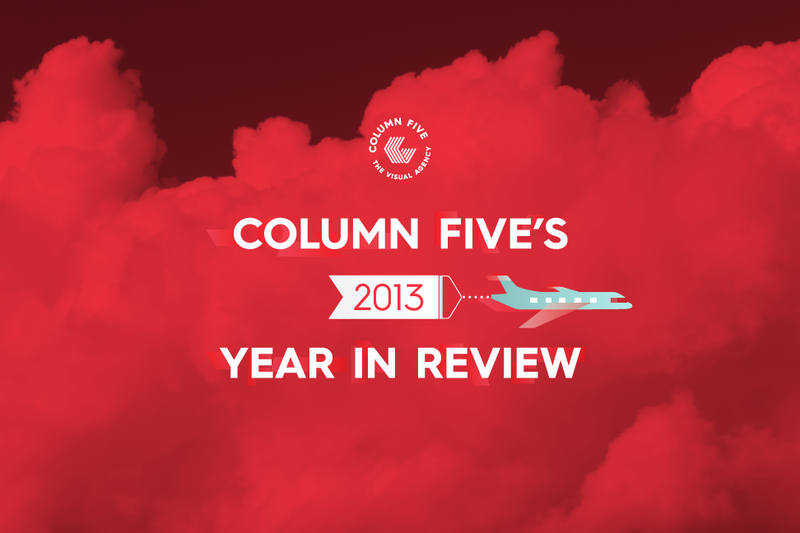 Here is Column Five’s 2013 year in review, a roundup of some our most exciting and unique projects of the last year. Northwestern University Qatar conducted an in-depth survey to gauge citizens’ media use and perceptions of media in eight Arab countries. We were asked to create a microsite that visualized the findings of this survey in a unique and dynamic way, with the goal of increasing awareness for the school’s research center and earning media pick-up in top-tier publications. With more than a million data points to work with, our task was to create a visualization (and, by default, research tool) that was functional, visually appealing and allowed users to instantly understand the data represented. Through the use of color and simple data visualization, we created a clean presentation that solved the communication challenge. Not only did the interactive serve as a valuable resource for researchers worldwide, it was also picked up by major publications such as The Atlantic, Huffington Post, Al Jazeera and Social News Daily, reaching a larger audience beyond academia. As part of the Internet Explorer “Browser You Loved to Hate” Campaign, Microsoft asked us to create a video that would shift IE’s brand perception among millennials. This notoriously skeptical generation had long given up on IE, and we were challenged to not only start a new conversation but inspire viewers to continue it at the BrowserYouLovedToHate.com site. Capturing the attention of a tech-savvy generation was no small task, but we understood and recognized the challenges facing the brand. Our approach was to revisit a time both Gen-Yers and Internet Explorer remembered fondly: The ‘90s. This nostalgic connection reminded viewers of their early relationship with the brand, sparking a new dialogue. The spot immediately went viral, with 7 million views in its first week and mentions in almost every top-tier publication. To date, it has racked up more than 48 million views, contributing to an 18% increase in Microsoft’s brand power index. It also ranked #3 in Adweek’s Top 10 Most Watched Ads on YouTube in 2013 and was nominated for a Webby and Mashie. 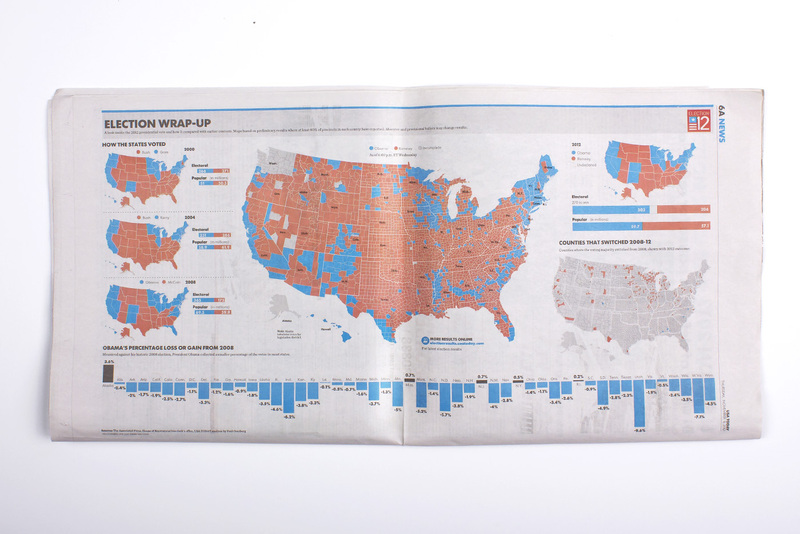 USA Today has long been recognized as a pioneer in the news industry for its use of infographics, which provide insightful information about some of the larger news topics of the day. In conjunction with the publication’s massive rebrand with Wolff Olins, USA Today commissioned us to help define how this new branding would apply to their infographics in the paper and online. Our challenge was to refresh the publication’s infographic style, following industry best practices, and craft a comprehensive and easy-to-follow guide for all of their designers to follow. The end result was a comprehensive visual language that encompassed everything from chart types and maps to color schemes and iconography, truly reinventing USA Today’s visual identity across all mediums. Much attention is given to the world’s richest people. But what exactly does enormous wealth look like in terms of everyday life—home, car, vacation destination—especially when compared to other income levels? We partnered with Forbes Magazine to create an interactive to find out, released in conjunction with the annual Forbes 400 Richest People in America list. Because we wanted to help readers truly “see” what extravagant lifestyles look like, we created an interactive that used photography to complement data points, and we included data on the major expenses in a wealthy person’s life—from the house they live in to the type of sports team they might invest in. Readers could explore different income levels to see everything from a millionaire’s vacation to a billionaire’s penthouse. The tech community is highly opinionated about certain issues—especially when it comes to tech-term pronunciation. (Is it “ghif” or “jif”?) To stir up debate, we partnered with Addvocate and Mashable to produce an interactive survey to poll readers on how they pronounce various tech terms. We culled reader demographic data, including age, location and occupation, and asked how they would pronounce 6 different tech terms: cache, meme, Linux, gif, Wi-Fi and data. In total, the interactive was incredibly popular, garnering an 81% engagement rate with more than 29,000 responses from 191 countries and continuing to fuel spirited online debate. 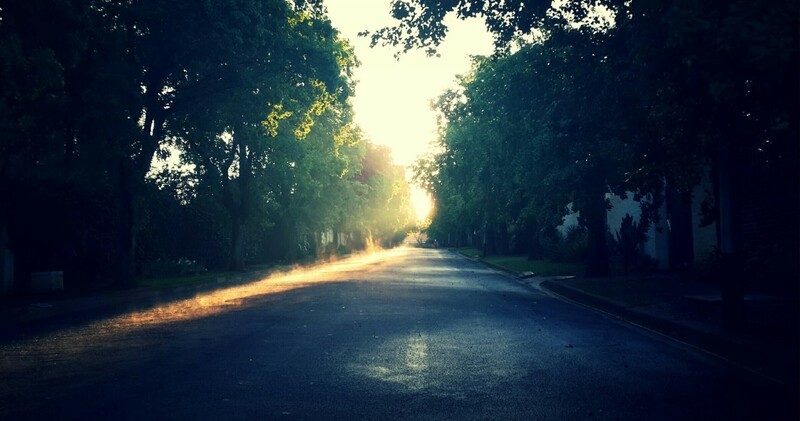 For more, check out our portfolio and learn about the people who make it all happen.